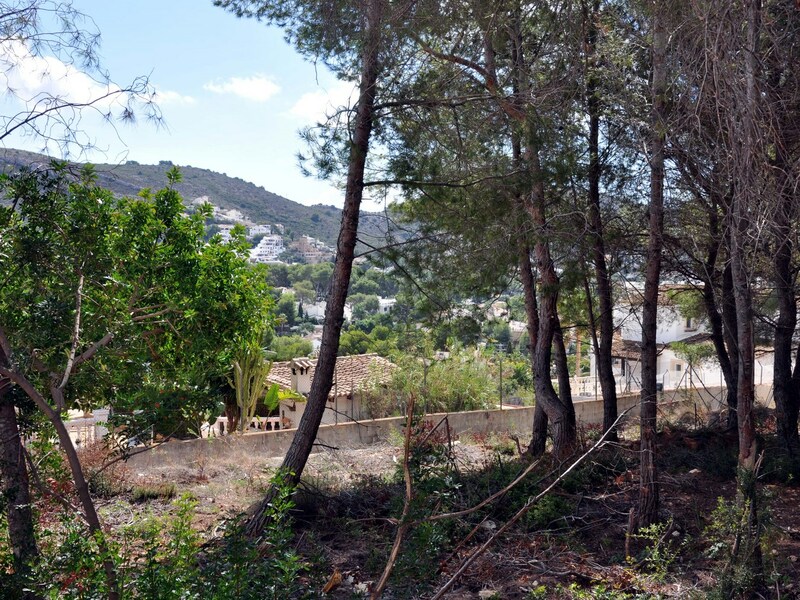 Plot for sale in Moraira. 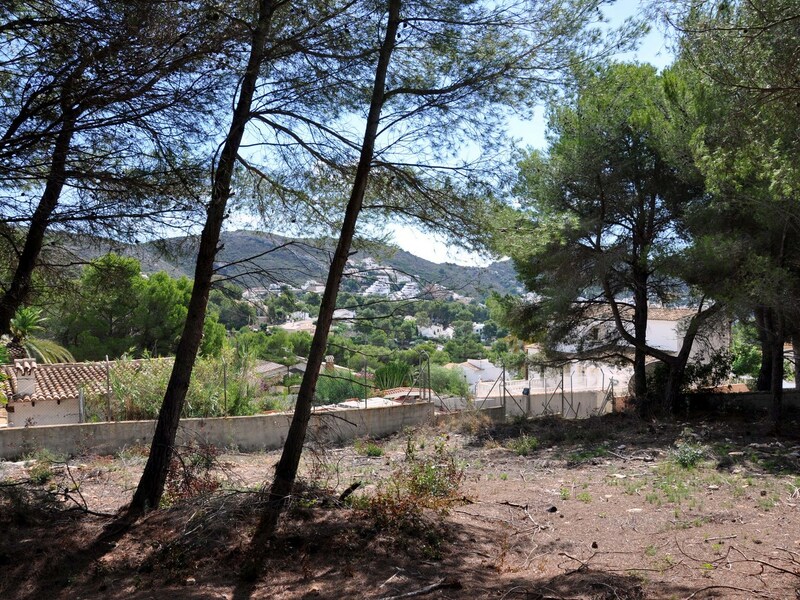 A 1000 square metre building plot on Partida Arnella with a view to Cap d'Or and the sea at El Portet. 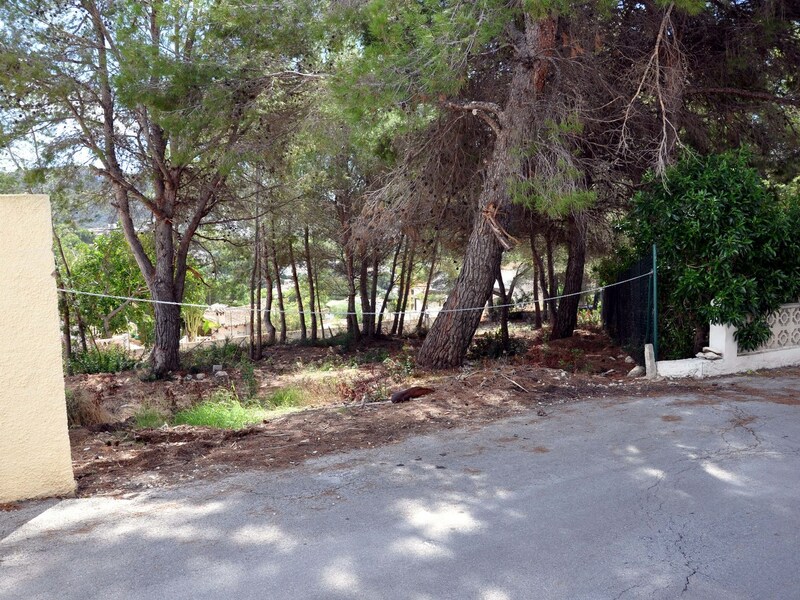 The plot has direct access from the road with existing villas on three sides. 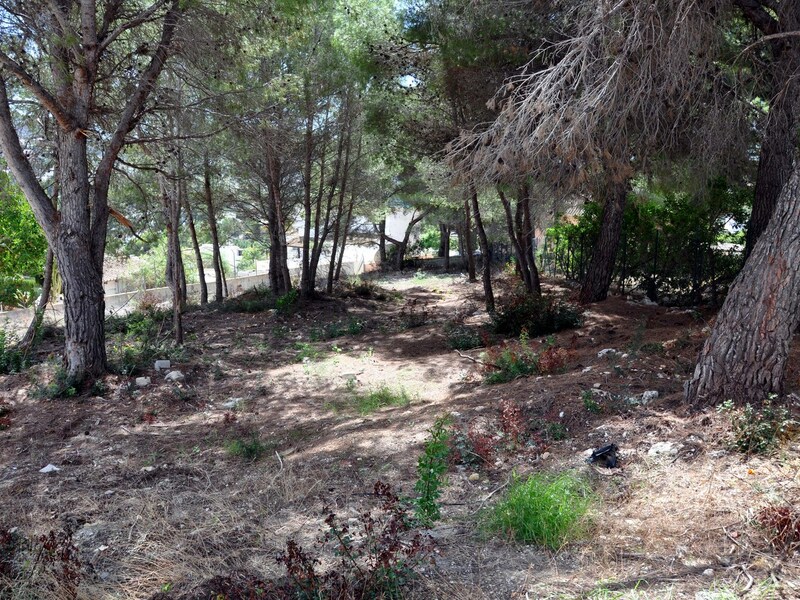 It is mostly cleared of trees and vegetation and slopes gently to the south. 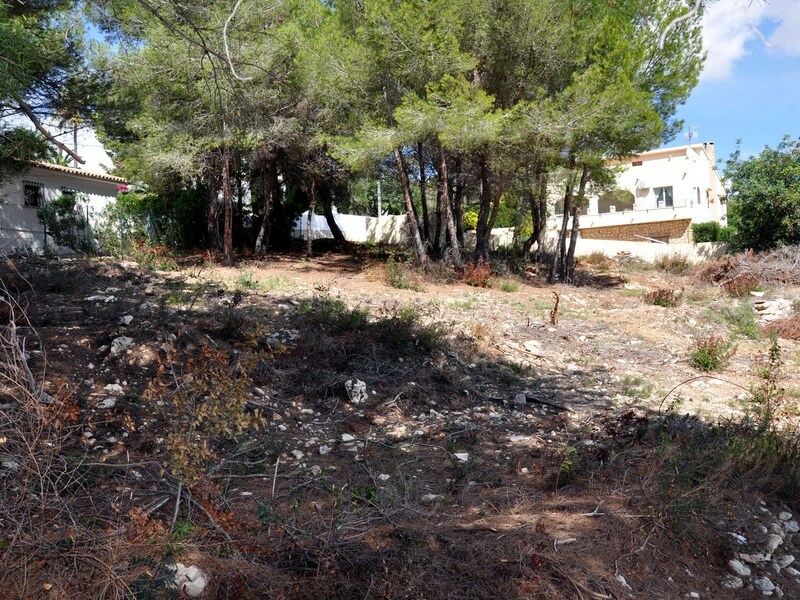 The plot is owned privately and is not tied to a builder. 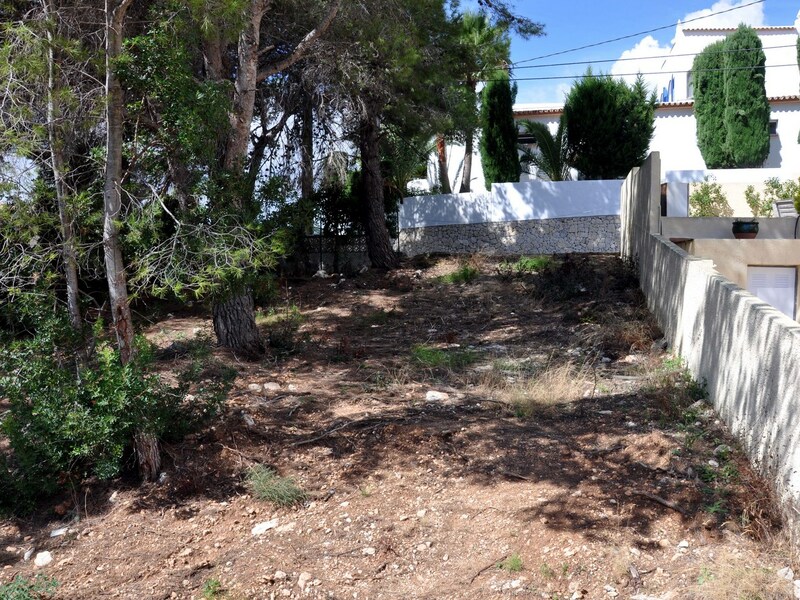 The buyer is free to choose a builder and to build a villa of up to at least 300 square metres on one or two levels. A two storey villa at the highest point of the plot would achieve the maximum sea views from the first floor.